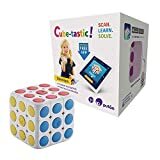 Cube-Tastic is puzzle cube, by Pai Technology, which you can scan and solve using augmented reality with the free Cube-Tastic app. Although the cube doesn't look like a traditional Rubik's Cube, it is solved using the same principles. 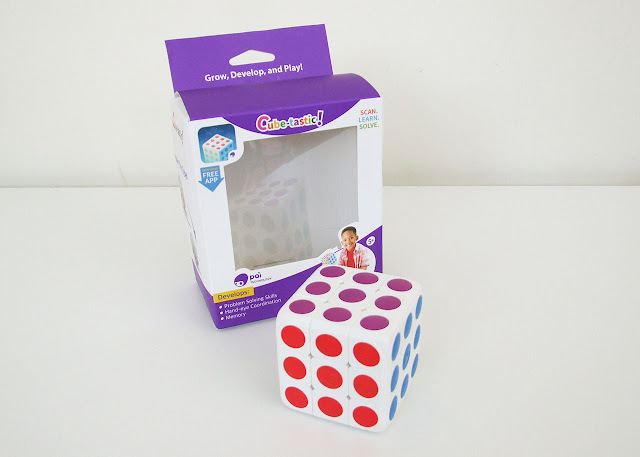 Disclaimer: Pai Technology sent us a Cube-tastic to test at home. All our views are our own. Cube-Tastic comes in a box, which you won't need after opening. The box contains one cube puzzle. It's a great size and price for a birthday gift for your own kids or their friends. 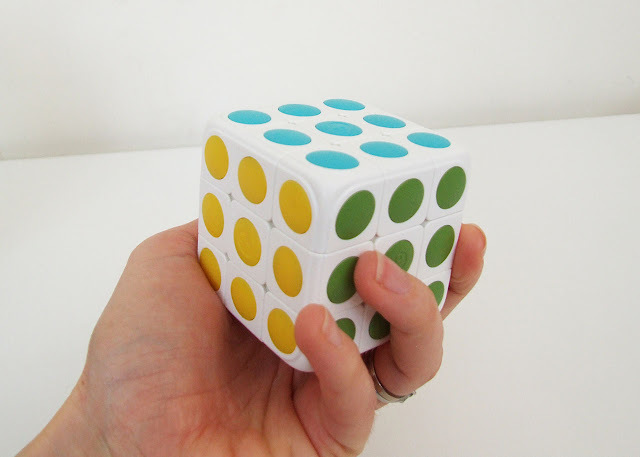 The cube is a 3 x 3 cube puzzle and is fantastic quality. It turns easily and feels nice to hold. The plastic used is BPA free and safe for kids as young as 3 to use. I really like the modern design and colours of the cube. The colours are perfect for boys and girls. My teen, who loved Rubik's cube when he was younger, was really impressed with how easily the cube turns and even though he is a traditionalist, liked the design. That says a lot! Cube-tastic uses augmented reality to help you solve the 3d puzzle cube. The cube is compatible with a iOS / Andriod app freely available from their respective app stores. 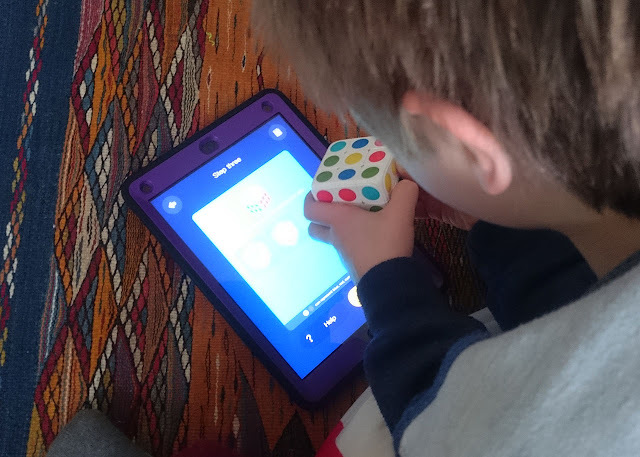 We've tested the cube with our iPad Air 2 and my Andriod mobile phone. There are two modes in the app " Play" and "Learn". You need to unlock the learn mode initially by solving the cube. This is done by scrambling the cube, then using the app to scan the cube. This can be tricky for younger kids as you need GOOD lighting and a steady hand. We found it really useful to be able to use the front camera with my younger child. BE AWARE: Make sure you do the scanning in good lighting. The app doesn't seem to recognise bad lighting until you have scanned ALL six sides and will then ask you to scan again. We've had a few frustrating sessions trying to get the scanning right. Natural light works best! 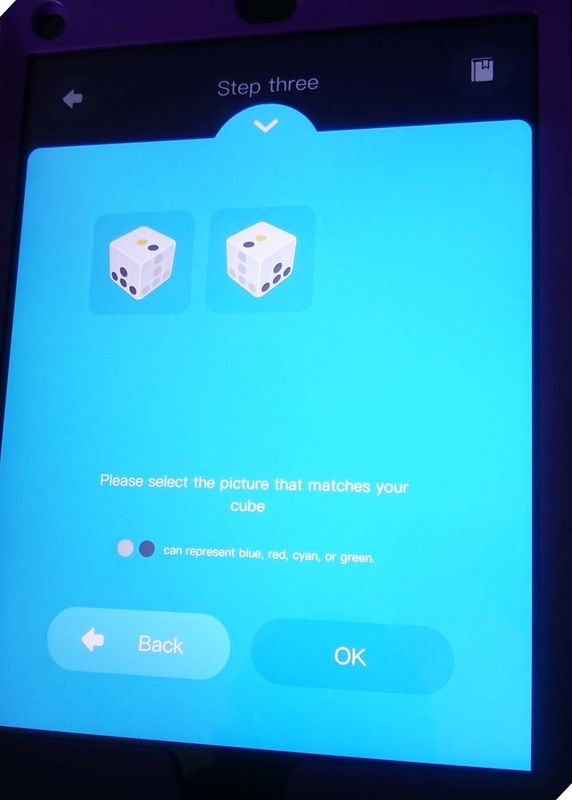 The "Play" mode will take you step by step using an animation of a cube to solve your own cube. This mode is timed, so the quicker you do it the better your award at the end. There are several Trophies from Beginner to Savant to unlock in your Trophy Cabinet. There are seven stages to unlock. You need to complete each stage to unlock the next. Step One: Tap on the cube in the app to rotate and see the whole cube. Your cube needs to look like this to unlock step two. 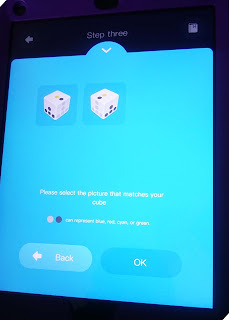 The app shows you several different options, select the one that matches your cube and follow the instructions. Keep doing this UNTIL your cube looks like the "Goal Cube". Now scan your cube to verify and you'll unlock the next step. Once you have unlocked all the steps, you can go back and learn any step in any order. The mechanical puzzle was invented by Erno Rubik a Hungarian inventor and architect in 1974. He said: "Space always intrigued me, with its incredibly rich possibilities, space alteration by (architectural) objects, objects' transformation in space (sculpture, design), movement in space and in time, their correlation, their repercussion on mankind, the relation between man and space, the object and time. I think the CUBE arose from this interest, from this search for expression and for this always more increased acuteness of these thoughts..."
Did you know the quickest time to solve a Rubiks cube was done by a teen, Feliks Zemdegs from Australia? (Source) Check out his video below to inspire you. It's quick - 4.73 seconds! The Cube-tastic 3D puzzle and app is a brilliant tool to help develop problem-solving skills, hand-eye coordination and critical thinking skills. We loved the tactile feel and modern design of the cube and the fact that it turns easily is a big plus. We've got a couple cheap promo cubes at home, which are difficult for young kids to manoeuvre. 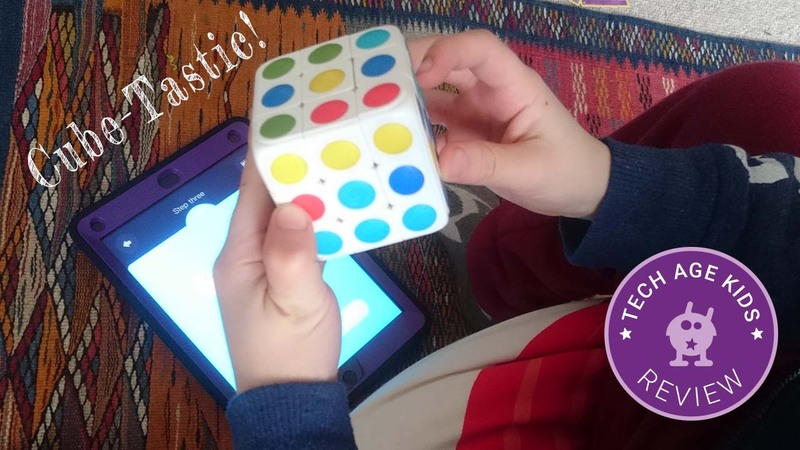 Hopefully, by using the app, you'll quickly learn algorithms to solve the cube and practice to become more speedy. Cube-tasic makes a great birthday / special occassions gift.